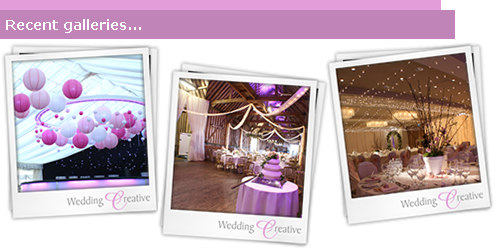 Wedding Creative are specialists in providing venue transformation for your wedding reception venue. We offer a complete range of wedding décor ideas to decorate your venue inside and out using a combination of creative drapery, lighting design, dressing & props, furniture hire and special effects. 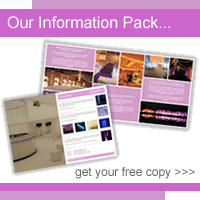 Our designs help you make the most of your function venue and can help deliver a seamless event. We have a passion for providing unique décor ideas that make for great talking points and wonderful memories. Everyone I spoke to was really lovely and numerous guests commented on the professionalism and courtesy of your staff. We were overwhelmed. It was far more beautiful a transformation than I had even hoped for and was just stunning.